Mohammed met the President of Somaliland, Muse Behi Abdi, at his office. 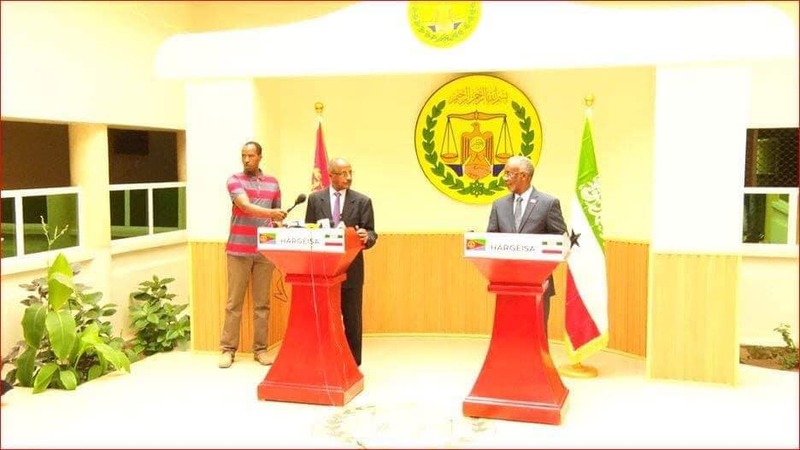 The Foreign Minister of Somaliland and other cabinet members attended the meeting as well. Talking to the media at the presidency after the meeting with the president was concluded, Mohammed told the media that the purpose of the visit was to see the situation and report back to the Eritrean president. "War was waged against us by TPLF, and sanctions followed,” the Minister said, referring to the Tigray People's Liberation Front, the party that has dominated Ethiopia before Abiy Ahmed came to power. This will not be the last visit, he added. This is the first visit of Eritrean delegation to come to Somaliland.